Being sexually harassed in any context is very overwhelming and scary. It's also scary when it threatens your job or education. Someone took an unfair advantage over you. Don’t be silent when if this situation happens to you. Contact us we will help you. More people go through it then you would think. The whole thing could make you feel extremely uncomfortable. You could lose your job over it, all that you’ve worked for. Or even your degree. Sexual harassment in the workplace is far too prevalent. It can happen to anyone. You may have even seen it as innocent. The EEOC definition is “unwelcome sexual advances, requests for sexual favors, and other verbal or physical harassment of a sexual nature.” The harassment doesn’t have to be explicitly sexual in nature. It’s essential to know what quid pro quo is, examples of it so you can recognize it, as well as the differences between it and hostile work environment. In some instances you may have a case for both. The Latin translation for quid pro quo is “this or that”. Quid pro quo harassment is a form of sexual harassment that is recognized under Title VII of the Civil Rights Act of 1964. This is when an employees rejection or submission of a superior’s sexual demands affects employment decisions made. This can affect employment decisions either positively or negatively. This form of sexual harassment is not always direct and verbal. It can be physical conduct or nonverbal actions. An example of this would be suggestive gestures. There are several examples of this type of sexual harassment that may help make things clearer in determining if a situation was sexual harassment. If a supervisor threatens to fire an employee for refusing to go on a date with them, then its considered quid pro quo harassment. Another example would be if a manager refuses to give a promotion to an employee, unless they performed sexual acts with them. Quid pro quo harassment doesn’t only occur in the workplace. It also can occur in the realm of academia. For example, if a teaching assistant invited a student over to tutor but instead, tried to make sexual advances, it is also considered quid pro quo harassment. Hostile work environment harassment is the other type of sexual harassment that is recognized under Title VII of the Civil Rights Act of 1964. 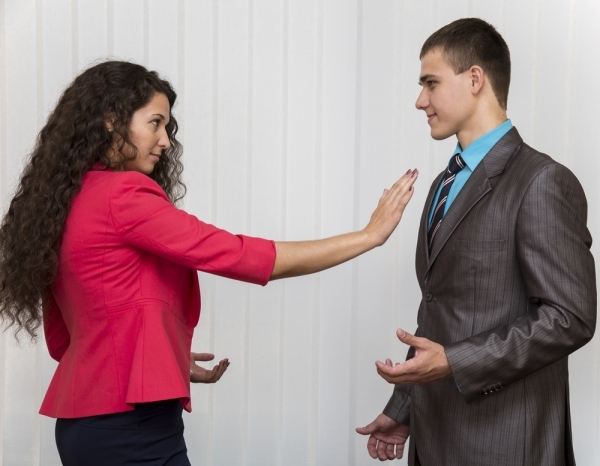 With hostile work environment harassment, the offender doesn’t have to be superior to the victim. They could be coworkers for example or even work in different departments. Under this harassment, the employee must feel uncomfortable and offended. Under quid pro quo, this can be just a single incident. Being sexually harassed in any context is very overwhelming and scary. It’s also scary when it threatens your job or education. Someone took an unfair advantage over you. Don’t be silent when if this situation happens to you. You deserve a say and you deserve to feel safe. When dealing with this delicate subject matter, you want someone who is experienced. The Rager Law Firm has years of experience and will fight for your rights. Contact sexual harassment attorney at our law firm for a free initial consultation at 310-527-6994 or fill out this contact form.